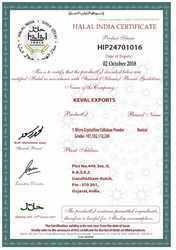 We, Keval Exports from 2008 are manufacturing a high-quality range of Promfet and Ribbon Fish, Cellulose Powder and many more. 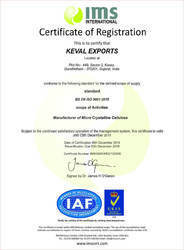 Offered products range consists of Silver Pomfret Fish, Silver Ribbon Fish, and KEVICEL 112 Micro Crystalline Cellulose. 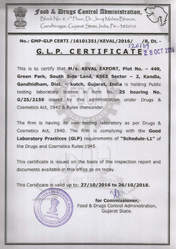 All offered products are processed in the well-equipped environment by following norms using pure ingredients. In addition to this, these products are known for their high purity, accurate composition, easy to use and long shelf life. To meet the ever-increasing demand of clients, we always remain in the process of continuous enhancement in our infrastructure and thus improving our products range. Further, our in-house quality control department, R&D wing and storing place are also an indispensable part of our infrastructure. 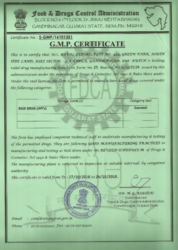 Our quality team makes certain that production is carried on the basis of advanced methodology to ensure that the prepared products have excellent effectiveness and purity. Our mentor, Mr. Naman Patel, has guided us to be able to reach such heights. His ability to understand the market trends, management, and decision skills, has been some of our greatest assets to grow in this market. Our highly advanced infrastructure facility has been segmented into various functional units, for reasons of attaining reliable, and hassle-free management of the production operations. 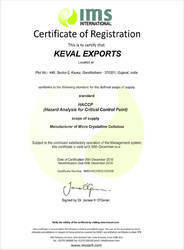 The facility is highly modern in nature that enables us in offering the products in a committed period of time. For achieving our well-defined objective, our infrastructure unit has been equipped with all the necessary and modern technology based equipment. To manage these departments, we have selected a team of dedicated and brilliant professionals.